Supergirl continues to battle through dream after dream, moving ever closer to a hooded figure that has trapped her in a state of reverie. 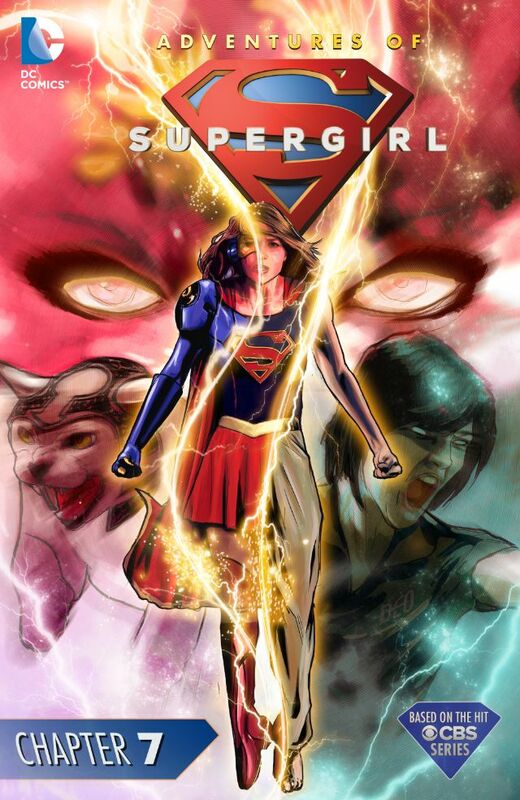 Whenever she closes in, the hooded figure creates a new sequence, but Supergirl is finally able to break through and confront Psi, a warden of sorts for Fort Rozz. Psi controlled the dreams of those interned at Fort Rozz, providing pleasant dreams or nightmares as deserved. However, Pis has an issue with Supergirl over the treatment of Rampage and her people. Supergirl promises to address these concerns and is released from the Dreamtime, placing a call to Alex after she wakes, alerting her sister to the situation. Story - 4: Adventures of Supergirl is what any writer should do to take advantage of a good situation. Supergirl fertile territory for storytelling, inasmuch as she has not quite been defined in comparison to the hero that inspired her, or other well-established heroes. Gates turns in a strong showing the Maid of Might, giving readers a remarkably confident, efficient, and intrepid Supergirl, one who is in control of her situation, as such as the aforesaid may attempt to spiral away from her. The best about this storyline is that it isn't over. Digital first comics were made for the serial format, and where print comics are decompressed to ridiculous proportions, Gates has been doing the opposite with Supergirl to stoke interest, entertain, and make readers come back for more... this reader, at the very least. Art - 3: The lines are still luxe, but Supergirl looks like she went to bead with her make-up on, when the last page comes along i.e. Supergirl look more like a super-model, and less like herself. Cover Art - 4: So that's what's up with the cat!